I’m smiling right now. 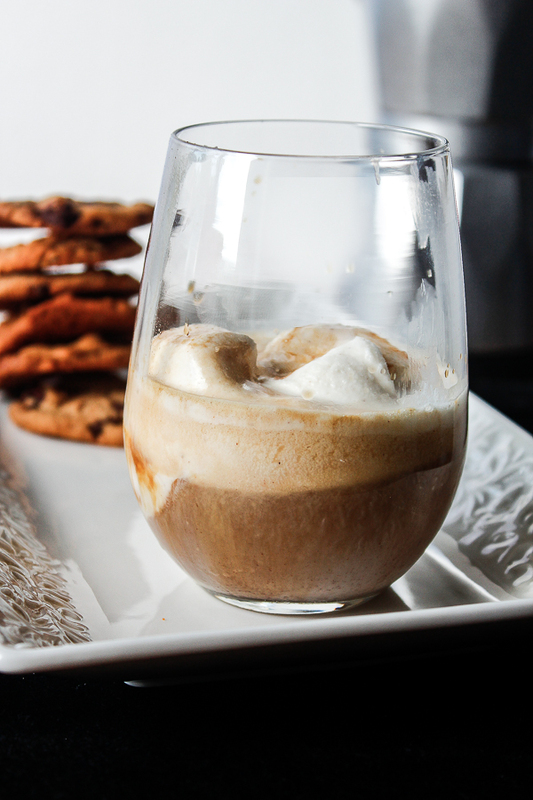 I mean really cheesing and it’s because of this, Coquito Affogato – right now. It’s the best frozen coffee dessert-y drink ever. You basically take a scoop of ice cream or gelato and “drown” it in a shot of espresso – freshly brewed espresso of course. 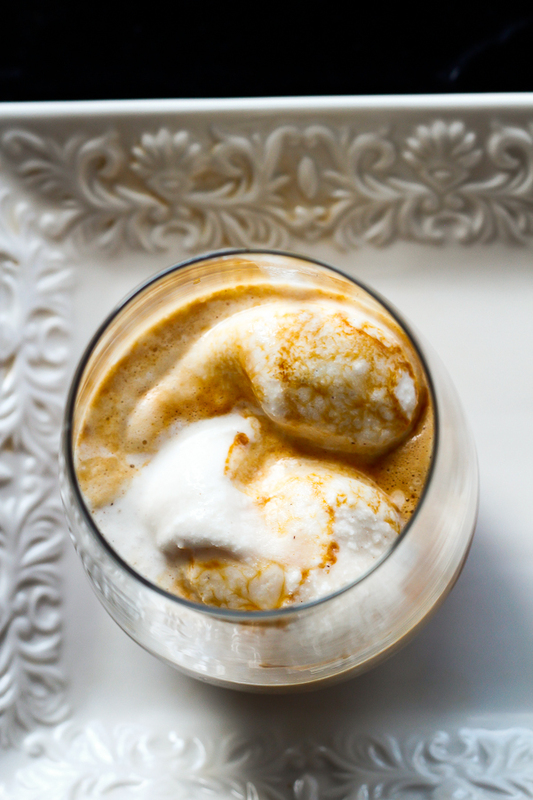 Affogato is not a frappucinno or iced coffee, it’s something like a float with ice cream and coffee but a lot less of the liquid.. And why just stop at a regular ol’ scoop of ice cream when you can make your very own best-ice cream-in-the-world! 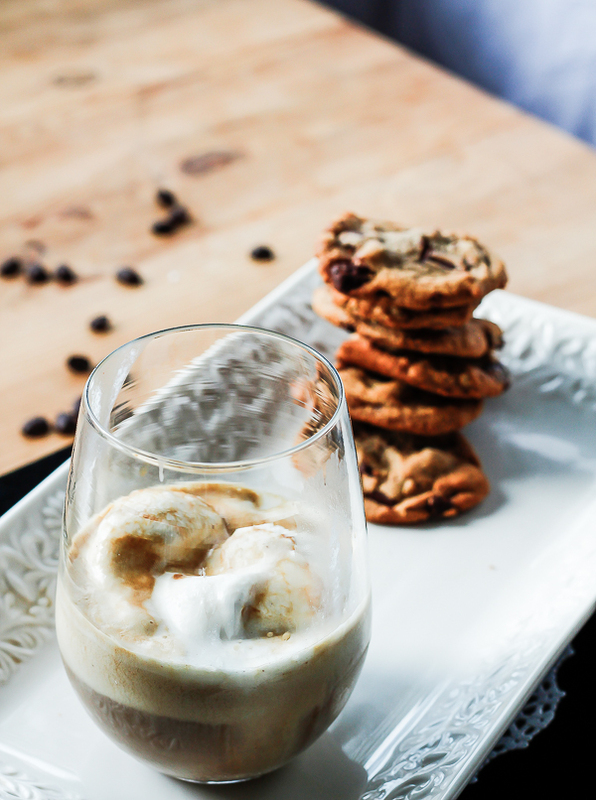 Hence Coquito Affogato which has my favorite – Coquito Ice Cream and it comes fully loaded with creamy, coconutty flavors and that hint of Bacardi blends perfectly with the espresso. It all started when we went out to dinner for hubby’s bday and afterwards hit up a new ice cream joint called Sprinkles and Scoops and rather than the usual sundae, banana split or stuffed waffle cone, we ordered Affogatos. So the girl behind the counter made a fresh batch of espresso then added a large scoop of ice cream and then a shot of that Nespresso espresso. We were proudly her first Affogato customers :). A DELIGHTFUL INFUSION OF COQUITO ICE CREAM AND A SHOT OF ESPRESSO. THE PERFECT AFTER-DINNER DESSERT/DRINK. As soon as the coffee hits the ice cream it starts to melt and now you have this wonderful creamy emulsion of creamy espresso. You can still taste the bitter notes of coffee but it’s perfectly balanced by the sweetness and cream. That following week I made affogatos like 3 times at home! Oh..the joys of food blogging! Make the Coquito Ice Cream. 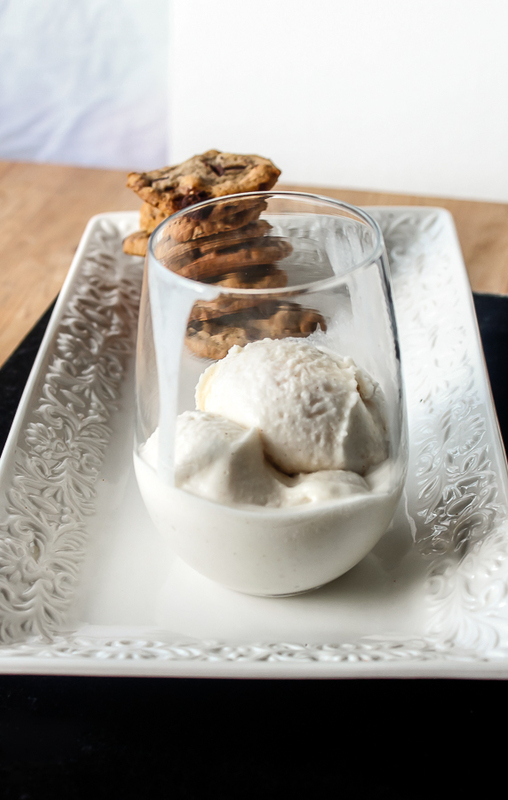 Add the scoop of Coquito ice cream to the glass. Pour the shot of espresso over the ice cream. Can add a swirl of chocolate sauce or sprinkled cinnamon for garnish.